Although you might be hoping for an Uncharted 5 game, there is some pretty good news for fans of the game series. It comes in the form of the Uncharted: The Lost Legacy, which began life as Uncharted 4 DLC and has since become a standalone title - and one of our most anticipated games. It's not Uncharted 5 as such, but developer Naughty Dog is calling it a 'standalone chapter' in the series. As part of the announcement at PlayStation Experience 2016, a nine-minute gameplay trailer has been released which you can watch above. Here's what you need to know about the Uncharted: The Lost Legacy's release date, price, gameplay, trailers, and more. When is The Lost Legacy's release date? Uncharted: The Lost Legacy will launch in the US on 22 August, while those of us in Europe will have to wait a whole 24 hours longer, for 23 August. The Lost Legacy will launch at $39.99 in the US, and £29.99 in the UK - for once British gamers seem to be getting the better deal, which is a welcome change. right now from the official PlayStation store. If you'd prefer a physical copy, you can grab it from Game or Amazon in the UK, and Best Buy or Amazon in the US. There's good news if you bought the DLC season pass for Uncharted 4 though. Because The Lost Legacy began life as DLC for that game, Naughty Dog has confirmed that anyone who bought the Digital Deluxe Edition, Explorer's Pack, or Triple Pack will get the game for free. Unsurprisingly, those versions of the game are no longer available. Taking advantage of that offer does mean missing out on a neat pre-order bonus though. Anyone who pre-orders from participating retailers will get a free digitial copy of Jak and Daxter: The Precursor Legacy for PS4, a collection of remastered versions of the first four Jak and Daxter games. 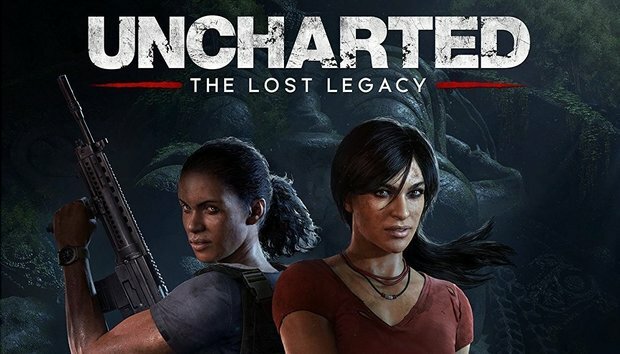 It's been confirmed that The Lost Legacy takes place after the events of Uncharted 4: A Thief's End and players won't take control of the main protagonist, Nathan Drake. Instead, you'll follow the story of Chloe Frazer, who debuted in Uncharted 2. Naughty Dog said: "We've spent the better part of the last 10 years on a journey with Nathan Drake, but as his story came to a close in Uncharted 4 and we looked ahead to the series' first-ever story DLC, we were faced with an unprecedented question: whose story did we want to tell next? Over the years, we've assembled an incredible cast of characters, but of them all, we kept coming back to one in particular: Chloe Frazer." In the launch trailer you can see Chloe making her way through a war-torn city to meet partner, Nadine Ross from A Thief's End. You'll venture into India's Western Ghats mountains to recover the long lost Tusk of Ganesh. "Much like Chloe, Nadine is a formidable and interesting character whose complex nature we just started exploring in her Uncharted 4 debut. She's a skilled tactician, whose cool, calculating nature offers an important contrast to Chloe's improvisation and wit," added the developer. You can see the pair of them interacting more in an early scene from the game which Naughty Dog has released as another trailer.